Twitch is, besides YouTube, the most visited streaming platform at the moment. Similar to YouTube, you can enjoy the content without signing up for the service and skip the account creation. However, in order to be an active participant, you need an account. And most avid followers (a good part of 15 million daily viewers) wants to join the community. The only problem? Some of them are unable to sign up for the service after multiple tries. Let’s start with the essentials. In order to sign for the Twitch streaming platform, your age must be above 13. Furthermore, the username needs to have less than 25 characters and we suggest avoiding uppercase characters. Double-check the captcha checkbox. If the application informs you that the username is taken (even though it obviously isn’t on some occasions), close the app and try again after some time. 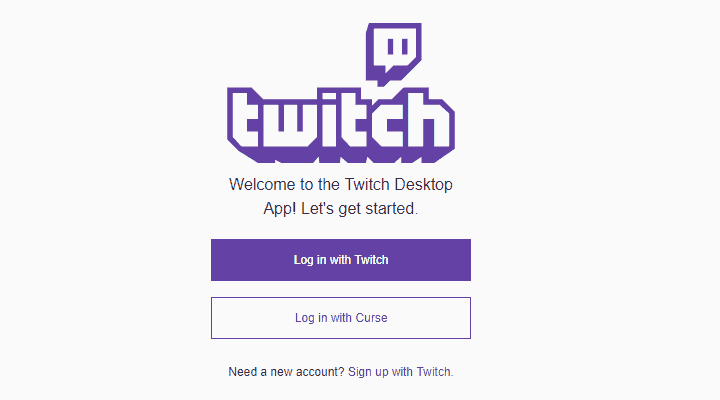 You can also try creating an account for Curse and sign in with it into Twitch. tv platform. If you’re still unable to sign up for Twitch, even if you’ve met everything we mentioned above and don’t have a Curse account, continue with the further steps. Besides the minor bugs which can cause this issue, we’re more concerned with your connection and system settings. There are some things you should inspect before we move to an alternative sign-up protocol. The affected users who dealt with the sign-up problem did their share of troubleshooting and seemingly addressed the issue. Restart your router and PC. Disable VPN or Proxy temporary. Make sure that Twitch can communicate through Windows Firewall. Disable a third-party antivirus temporary. Finally, if the desktop app won’t allow you to sign-up for no apparent reason, there’s an alternative. 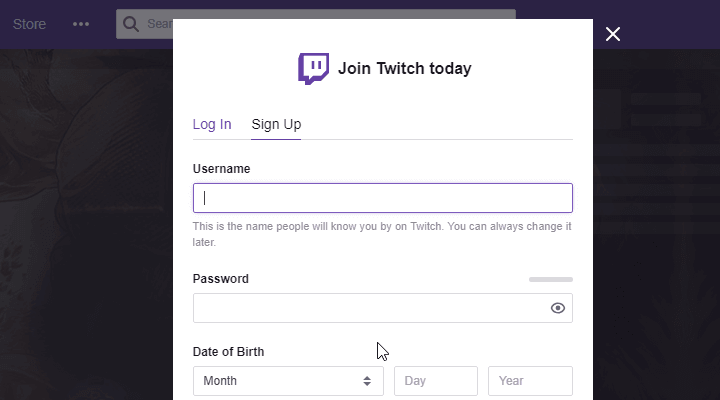 The alternate way to sign-up to Twitch is found in the web-based Twitch platform. But, to avoid possible issues with browser extensions and cached files, we suggest using the Incognito mode to sign up. 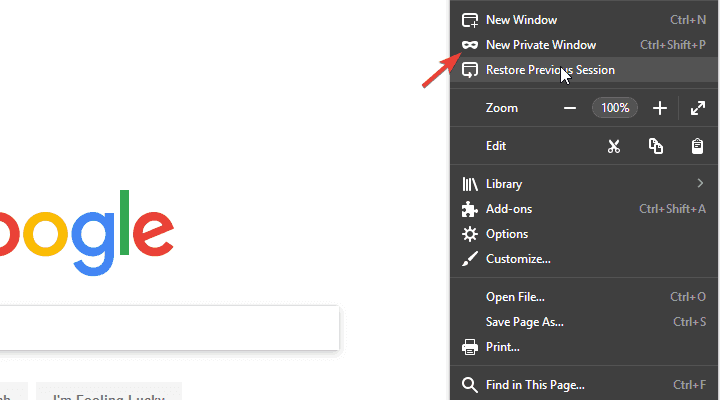 Click on the 3-dot/hamburger menu in the top right corner and select New incognito window (New InPrivate window for Edge). In the Incognito window, navigate to the Twitch Sign Up webpage, here. Enter your credentials and create an account. Confirm the account with your email address. With that said, we can conclude this article. Don’t forget to check the Twitch status and wait it out a bit as this might be a temporary stall. Also, make sure to share alternative solutions or post questions in the comments section below.